Imagine being aged 6 and Santa driving right past your house in his sleigh just before Christmas? That's exactly what happens to thousands of children each year in Hartlepool ! Its a chance for you to give your letter to Santa and get a few sweets from the Round Table Elves. 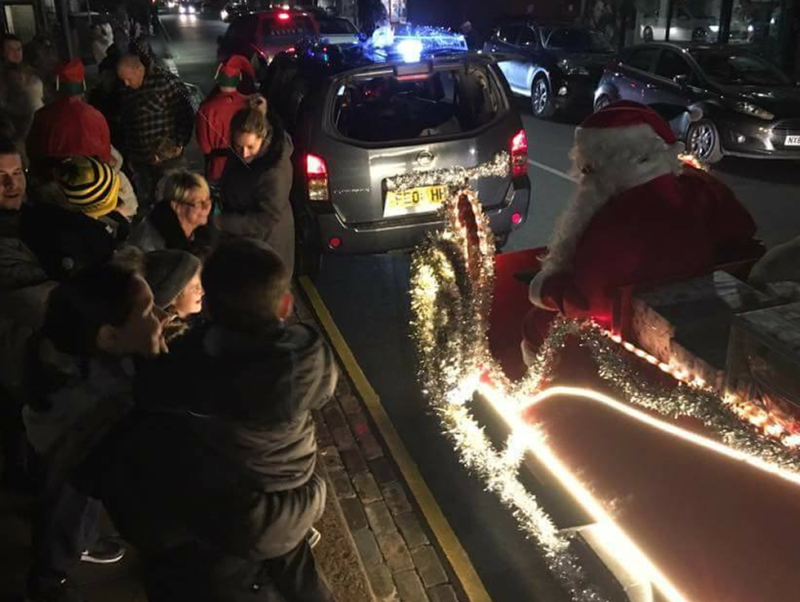 In 2018, we estimate that over 7500 children saw Santa over the four nights. Santa will also write back to every child who puts their name and address on their letter, just in time for Christmas !! The map below shows where he will visit with approximate times he will arrive. For 2019, Santa will again be using the latest technology on his sleigh which will track his exact location and you will be able to see where exactly his is on each night so that you don't miss him. Remember to put your name and address on your letter to Santa. Last year, we collected around 1350 letters and approximately 100 of them did not have contact details on so Santa could not write back!! Don't be disappointed and remember to include these details. SEE WHERE SANTA IS !! ONLY IN OPERATION BETWEEN 5.30PM AND 7.30PM EACH NIGHT. DATES TO BE CONFIRMED !! "Thank you to everyone involved, the time and effort you have all put in is amazing! My son is well and truly in the Christmas spirit now he has his letter back from Santa. X"
"Thank you so much!!!! You guys are amazing!!! Please would you pass on my thanks to everyone who gave up their time for the santa tour and the letters! This is such a kind selfless thing to do and I'm sure I speak from everyone in Hartlepool when I say we really appreciate all your hard work." "Hi. Just like to say a massive thank you for keeping the Christmas spirit alive. You've made our son Joshua so excited for the big day after just receiving a letter from Santa. "